No one knows when this bear market will end. And no one knows which cryptocurrencies will be around 5 years from now. The number one rule of long term investing is to put your money in an asset that you know will still be relevant 5 to 10 years from now. Right know cryptocurrencies and blockchain technology is at its infancy. There is no doubt that blockchain technology will be an integral part of our future, but we do not know which cryptocurrencies will become widely adopted, and which ones will become worthless. 95% of the cryptocurrencies in existence right now will likely not exist 5 years from now. Be careful of the projects you put your money into. Cryptocurrencies and blockchain technology are revolutionary because they eliminate the middleman in financial transactions. However, this also means there is no one to protect you from theft and hacks. Security is completely your responsibility. This means you have to take all the precautions necessary to secure your cryptocurrency. Check out this article here for our top security tips to protect your cryptocurrency from hackers. In order to become a successful trader or investor, you need to know what time horizon you are investing on. Many people last year made the mistake of managing a long term investment like a day trade. They claimed to be a fundamental and long term investor, but yet they checked the price every day, and panic sold their positions when their positions went against them. 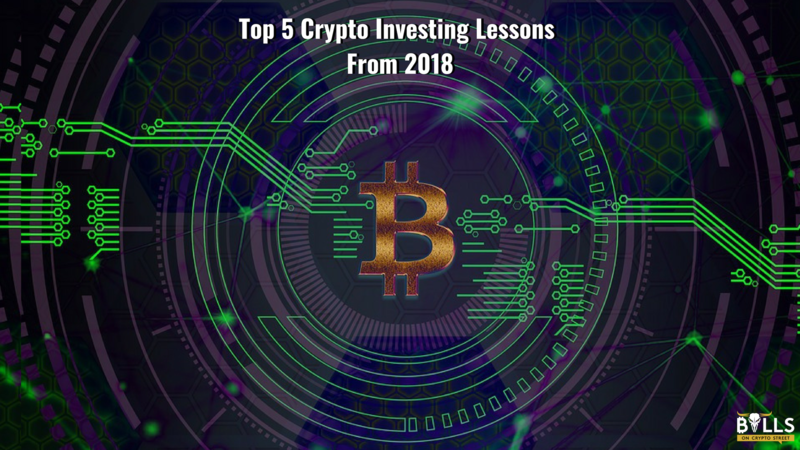 When you are a long term investor and you have studied past cryptocurrency bubbles and defined your investing time horizon, you will have a comprehensive plan for your investment. We saw an unprecedented number of cryptocurrency hacks and scams last year. The Bitconnect exchange shutdown and the $530 million Coincheck hack are just a few of the hundreds that occurred last year. You have to know the best cryptocurrency exchanges to store your cryptocurrency and understand the risks associated with each one. Check out this article for our top 5 cryptocurrency exchanges. There were some ludacris BItcoin and other altcoin price targets for the end of 2018 made in the past 12 months. Some were $25,000, some were saying $100,000, some were saying $1 million. They were all wrong. In order to make money investing, you have to do your own research and analysis to found out what cryptos have a high probability of appreciating in value in the future. You cannot just blindly follow others opinions and picks, especially when it comes to cryptocurrencies. Study the team and whitepapers behind projects yourself. Don’t trust what the supposed “analysts” have to say.